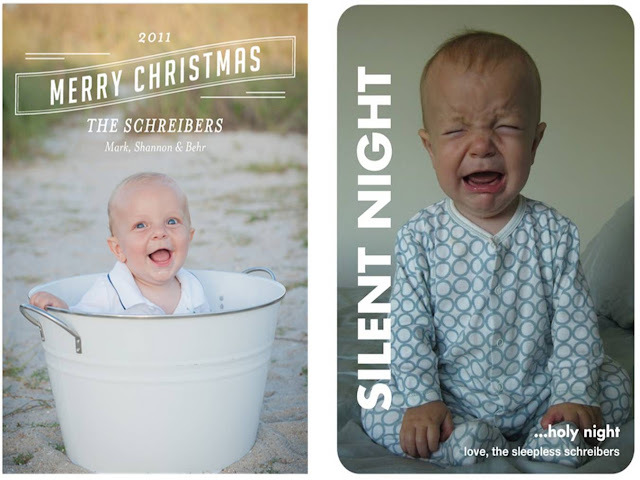 The Scribble Pad: How many Christmas cards do you send? How many Christmas cards do you send? Last year we started a bit of tradition and sent two, sort of. The card on the left went to our long list of family, friends, and colleagues - about 250 people. I've long since given up making our cards with a list that long! The card on the right, became the perfect way to capture a memory of Behr we love. Yes, we loved his precious crying buddha pose! This second card served as our "gift tags" to our closest family and friends. Tiny Prints is currently running a promo of 10 free holiday flat cards (add-ons like rounded corners, and envelopes not included) which would be perfect as these "gift tags" as you approach the season. Or maybe an extra card to stuff in with notes to the grandparents? This is a great way to use a bunch of your favorite instagram pictures that wouldn't otherwise make the Christmas card cut. oh, the one on the left with the five pictures! it's perfect and I adore every single picture! FUN FACT! I still have the Behr crying card. Because it makes me laugh. DON'T TELL BEHR! But I LOVE these Tiny Prints! 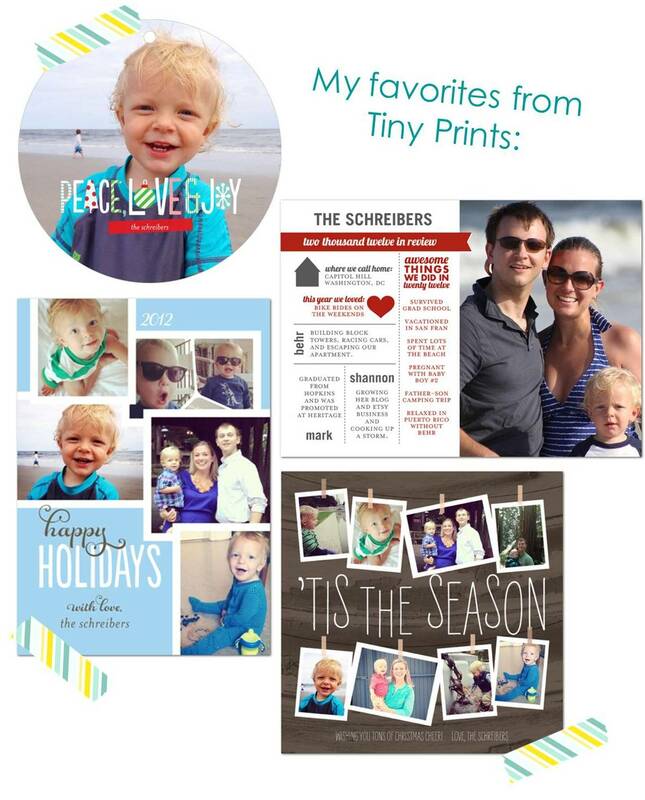 Usually I use Shutterfly or something like that, but I think this year I'm going to go with Tiny Prints! Love the Schreiber family roundup option! It captures the fun parts of Christmas letters without making you endure pages of minutia:) Definitely going to be using that link! !